In England genuine Goshman sponge balls were not only expensive but also hard to find. The tendency was to use them as long as possible. The moment I thought about it I knew Goshman was right. 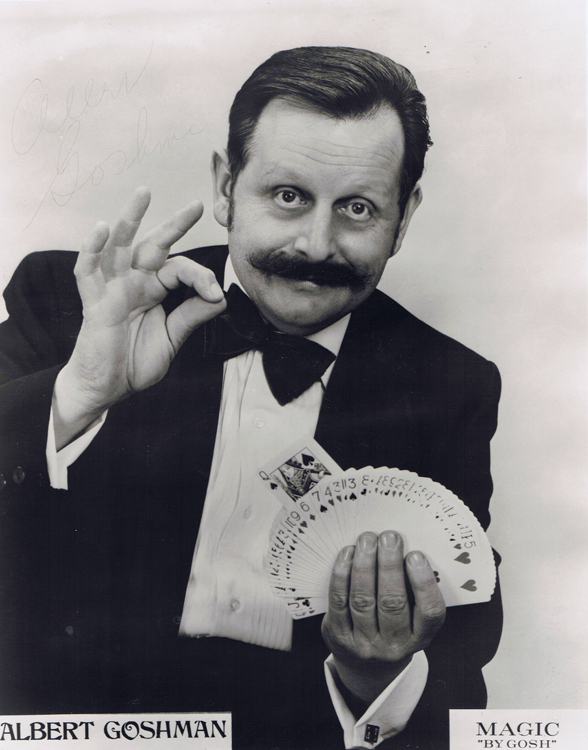 I mention this story because it might just make me the only magician ever to be chided by Albert on the topic of personal appearance! The most amazing thing about Goshman was the difference in how his magic looked and how he looked. The magic was neat, smart, organized and a joy to behold. Albert on the other hand consistently looked a mess! He always looked as rumpled as an unmade bed dressed in clothes that needed dry cleaning a week ago! Albert really liked his food and he was a messy eater, it was easy to track his meals for the day by the trail of the stains on his clothing! When at the Castle performing in the dining room Albert was a frequent visitor back in the kitchen area where he ate a ‘progressive’ supper. One evening Albert was hired to entertain a group of VIP’s in the Houdini room. The event planner wanted to impress her guests and let it be known that she wanted Goshman to look his very best for the group. In fact she paid a premium to ensure that this would be the case. Albert’s wife packaged him of the Castle in a spotless tuxedo and even a pair of gloves to keep his hands clean. Goshman looked as elegant and sophisticated as anyone could remember seeing him. The event planner, aware of Albert’s natural tendencies, even came up with a plan to keep him looking that good. The Maitre ‘D and kitchen staff had all been visited and cash had changed hands to ensure that no food would be given to Albert prior to showtime. Albert was not happy about this. 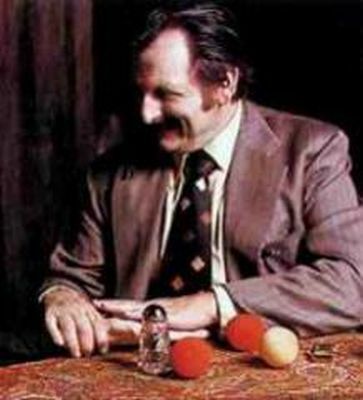 When it came time for his show, an immaculate and stain-free Albert Goshman, sat down in the Houdini room behind a freshly polished saltshaker and as always wowed the crowd with his brilliant close-up show. The event planner sat in the back of the room delighted that her plan had worked so well. However, just prior to Albert’s rising cards routine, he made direct eye contact with the party planner and proceeded to pull a large beef rib from his inside jacket pocket! Never breaking eye contact with the astounded party planner he ate a few bites of the rib and then casually replaced it in his pocket before proceeding to finish his show. Game, Set and Match to Goshman! ~ by Nick Lewin on May 3, 2013.